Boaters express frustration with the waiting game for all three marinas in Long Beach. LONG BEACH ― Boat ownership is an understandable aspiration for many people, especially in Southern California. A berthed vessel is a precious commodity. Access to public berthing, however, can be a challenge. Finding a place to berth a boat can lead to not only a waiting game but boater frustration as well. Boaters, in fact, have complained about the waiting list process in Long Beach, in particular. Alfredo Fernandez, a boat owner and liveaboard in Alamitos Bay Marina, said the waiting list process for boat slips in Long Beach has been the biggest complaint he has heard from boaters. Another boat owner, Mark Virgin, expressed his frustration with having to pay every year to remain on a waiting list with no idea how long he will have to wait to obtain a slip in any one of the three marinas in Long Beach. Was this just an example of an impatient boat owner wanting a slip? Virgin said he paid to be put on the waiting list feeling optimistic a slip would become available as construction projects were close to completion in Alamitos Bay Marina. However, he said he was never given an estimate on how long he would have to wait. Fernandez also mentioned the need for transparency with the waiting lists for boat slips in Long Beach. He has even asked the Long Beach Marine Bureau for the lists to be made public. Dana West Marina, by comparison, has waiting lists for boat slips of various sizes published on their website, which allows anyone to check the list at anytime and see where they are on the list. Why doesn’t Long Beach have the waiting lists viewable online? The question remains unanswered. The Long Beach Marine Bureau office did willingly disclosed how many people were on the waiting lists when asked. For instance, 66 people were on the waiting list for a 20-foot slip as of Sept. 28. The person listed first made the initial request in February 2013. Office staff, however, was unwilling to show the lists saying the reason is because the lists have peoples’ personal information. Why not have lists without personal information, so people can take a look? Dana West Marina seems to be more technologically advanced when it comes to having the waiting lists accessible online. Does Long Beach have a master waiting list being that the city manages all three marinas? Office staff said they do have a master list for all three marinas. Are all three marinas connected digitally, or is it all on paper? “A little of both,” office staff responded. Such vagueness and lack of transparency might be a source of frustration for boaters. Several years on a waiting list for a slip, however, does not seem so long in Long Beach compared to 12 years for Dana West Marina. The first person on Dana West Marina’s waiting list for a 40-foot boat slip made the initial request in Dec. 28, 2005. Boaters may have more than double the wait time in Santa Barbara compared to Dana West Marina for a place to berth a vessel. “Santa Barbara is a harbor where demand for berthing wildly exceeds supply,” Harbor Operations Manager Mick Kronman stated. Santa Barbara is a harbor with 1,139 slips. The master waiting list still has more than 90 people with the oldest request from 1992. The person at the top of the master list has been waiting 25 years for a boat slip in Santa Barbara. Santa Barbara Harbor, therefore, has implemented an alternative process to the waiting list. The waiting list for boat slips in the Santa Barbara Harbor was closed in 1999. Those individuals remain on what’s referred to as a master waiting list. “With fewer than 1,200 slips and if we just had an open waiting list where people can get on it, we would have tens of thousands of people on it by now,” Kronman said. A lottery system is now employed for new boat slip requests. The initial lottery fee is $50. “The Waterfront Director, along with the Harbor Commission and City Council together agreed to stop taking names on the waiting list, because we didn’t want to be in the business of administering false expectations,” Kronman explained. Both those on the master waiting list and the lottery list pay a nonrefundable annual fee of $40, according to resolution no. 16-048 of the City Council of Santa Barbara establishing waterfront harbor slip, mooring and user fees. So Santa Barbara, like Long Beach, charges a fee annually to remain on the master wait list or lottery list, but Santa Barbara reveals the reasoning behind the fees. “Funds are needed to defray the cost of providing programs and services furnished by the City,” the resolution states. “The funds needed to defray such operating expenses can and should be obtained by setting fees and charges for these programs and services,” the resolution continues. Some other Southern California marinas make it clear where funds from the collected application fee is allocated. Marina del Rey Marina, for instance, has a $50 application fee to be put on a waiting list for a slip. The waiting list fee is nonrefundable, but the money does go towards a deposit on a slip when one becomes available. 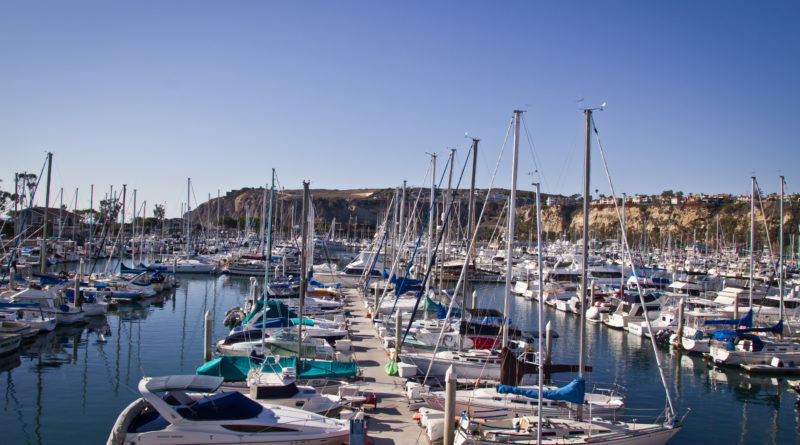 Sunroad Marina in San Diego, Newport Dunes Marina in Newport Beach and Huntington Harbour, however, are some of the marinas which do not charge any application fee to be on or to remain on the waiting list. What do the fees go toward for the people who pay to be on the waiting list in Long Beach? The Log visited each Long Beach marina office on a Thursday afternoon in an attempt to get some questions answered. The Rainbow Marina office was closed in the early afternoon despite office hours posted as 8 a.m. to 4:30 p.m. A note on the door said to contact the Long Beach Shoreline Marina office. How inconvenient is it for boaters attempting to get some resources or drop off a check at the marina office during office hours, only to find the office closed? Dana Rhoads is a marina agent with the Long Beach Marine Bureau, but she was unavailable due to an afternoon meeting. The Log ventured over to the Long Beach Marine Bureau office located at the Alamitos Bay Marina. Here The Log was told the fee to be on the waiting list is currently $57. The waiting list policy form posted online states $51, and the source at Shoreline marina office stated $56. A boater can easily be confused by the discrepancy in fees for the waiting list. Who determines the amount of the fee, why the discrepancy in fees and what do these fees go towards? The Long Beach City Council decides on the amount of the waiting list fee, which is an administrative fee, office staff said. Questions about the discrepancy in fee amounts and what the fee pays for exactly remain unanswered. The Log reached out to Rhoads for additional information who referred Kurt Borsting, superintendent for marine operations. Borsting has not answered inquiries from The Log, nor has Marine Bureau Manager Elvira Hallinan responded. The red tape and unanswered questions, again, can only lead to further frustration. Waiting list procedures do obviously vary among marinas up and down the Southern California Coast. The supply and demand to berth a vessel remains an issue more than 10 years later. The boat slip waiting game can be a nautical nuisance, especially when the process is rather ambiguous as in Long Beach. Ms. Jussila – did you happen to see the print edition? This article ran on the same page as an advertisement for boat slips in City of Long Beach marinas. Ironic.